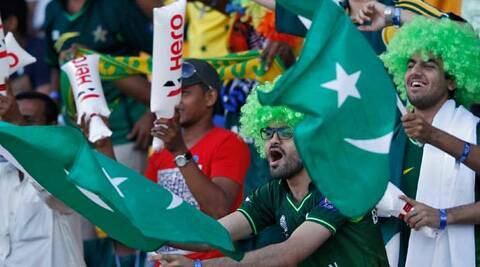 Booking Kashmir’s kids for cheering Pakistan paints a shameful and wrong picture of India — and of cricket. Shekhar Gupta was the Editor-in-Chief of The Indian Express. He has to his credit some of the most significant newsbreaks in Indian journalism. He had joined the Indian Express as a cub reporter at its Chandigarh edition in 1977. Three years later, at just 23, The Indian Express sent him to India’s troubled north-east where he covered the then raging insurgencies and civil unrest. As a reporter, and then an editor, with India Today, Shekhar has always brought to readers in India a ringside view of contemporary history from Operation Bluestar to the Olympic Games in Los Angeles, the student uprising in Tiananmen Square in Beijing to the fall of the Berlin Wall and the first Gulf War from Baghdad, Jerusalem and Kuwait, the first “jihad” in Afghanistan and the many twists & turns in the troubled 1983-1993 decade in Sri Lanka’s Tamil North. Shekhar uncovered LTTE training camps in India, the truth behind the falsely implicated scientists of the Indian Space Research Organisation in a spy scandal. And seven years before the terrorist attacks in the United States on September 11, 2001, he travelled across Afghanistan, Pakistan, Germany, the US and the UK, to report extensively on the threat from pan-national fundamentalism, including its links with Osama bin Laden. Shekhar’s weekly column called National Interest is one of the most credible and independent voices in the media. It is a touchstone for new ideas in politics, governance, society, business and sports. He also hosts an interview-based programme Walk the Talk on NDTV 24x7. A regular guest speaker at prestigious forums including the Asia Society, New York, National Defense College and Defense Services Staff College and the World Economic Forum in Davos and its India summits, Shekhar has authored <em>Assam: A Valley Divided</em> and <em>India Redefines Its Role</em>, published by the Oxford University Press and by the International Institute of Strategic Studies, London, where he is a member of the Council. Over the years he has engaged as one of the pre-eminent voices from India on issues ranging from domestic politics and society to security and international affairs. Shekhar is the recipient of several awards and honours, including the 1985 Inlaks award for young journalist of the year, G K Reddy Award for Journalism, the Fakhruddin Ali Ahmed Memorial Award for National Integration. He was awarded Padma Bhushan in 2009. Several years ago, the then British high commissioner suggested, in the course of a spirited conversation one evening at his residence, that it would be a good idea if England and India were to play two cricket Test series every year, one in either country. “Brilliant idea,” I said, “but you will have a problem. Because we will beat England all the time. “Do I care?” asked His Excellency, “I am Scottish.” That was followed by a mischievous laugh, laced with, what else, but dollops of Scotch. This nugget is worth pulling out at a time when policemen in Meerut, less than 50 miles from Delhi, are so protective of the national interest that they threatened to charge 65 Kashmiri students with sedition for cheering Pakistan after it beat India in the Asia Cup. The patriots of Meerut obviously knew better than to let such an offence go unpunished. They know that there is something about Meerut’s soil that breeds rebellion. Remember 1857? Fortunately, they were thwarted by immediate protests from across the country, as also by Uttar Pradesh’s good-for-nothing government, whose only fig leaf, secularism, is already twisting in the wind in next-door Muzaffarnagar. You can imagine what fate would have visited the UK high commissioner if I had not kept that conversation to myself all these years. And what may happen to him now, if I revealed his name. Ungrateful, disloyal, unpatriotic, unforgivable Scotsman, even though knighted by Her Majesty the Queen. If he represented today’s India, even his diplomatic immunity would not have saved him, one way or the other. I stress today’s India because we are going through a phase of socio-political evolution where patriotism is back in fashion. Which is fine, actually a good thing. It is the definition of this patriotism, rooted as it is in insecurities that we thought we had left behind in the past, that is troublesome. In the early 1990s, explaining the consistent rise of the BJP, I had said that, post-Babri, it was as if India’s majority had acquired a minority complex (Adelphi Paper 293, “India Redefines Its Role”, OUP, January 1995). Atal Bihari Vajpayee even quoted those lines, with attribution, in his speech seeking the confidence vote for his 13-day government. The same mood again seems on the rise when the BJP is surging ahead, and not because of any mandir, tension with Pakistan, or rash of terror attacks. And when, in fairness, you have to acknowledge that there isn’t even a vaguely communal appeal in its leader Narendra Modi’s campaign message. India has had a 13-year period of total peace, unprecedented in its independent history. There has been a steep decline in terror incidents. Even the Maoists seem to be shrinking slowly. And yet, our level of jingoism is as if we were approaching an imminent war, as if India were under siege, its borders getting violated with impunity, the enemy at the gates. None of this is true. Yet jingoism, hyper-patriotism and illiberal xenophobia, of the door hato ai duniya waalo Hindustan hamaara hai type that we knew in the Sixties, seem to be back. That is why the outrage by the Meerut police and the authorities of the so-called university has not brought the kind of condemnation and punishment it deserved. To question the patriotism of fellow Indian citizens is bad enough. And you’d better find a serious justification for doing so. But disloyalty to Indian cricket? Take this, I would suggest, to its logical conclusion. Why merely lock up some students for cheering Pakistan’s victory — although their crime is compounded by the fact that they were applauding, in particular, usual suspect Shahid Afridi, world cricket’s most durable 18-year-old? The clowns of Meerut should charge M.S. Dhoni, Virat Kohli and their entire team with sedition for making a laughing stock of Bharat Mata across the world over the past five years, from England to Australia to South Africa to New Zealand and now even Bangladesh. If cricketing success is the touchstone of our national honour, and cheering for our team a constitutional, patriotic duty, it should equally be the duty of our cricketers to win all the time. With the hero worship, riches and power that cricket brings, there should be patriotic accountability as well. No? This ugly mood, promoted by prime-time patriots, is also reflective of the failure of the political classes to give emotional and philosophical leadership to the people, to mould the discourse with the times. We are a nation with a disturbingly unique strategic thinking and temper. We invariably manage to catch ourselves by surprise. Every war, except 1971, took us unawares, while there were clear indications in preceding months or years of what was coming (1962, ’65). But if these wars found us unprepared, so did all the periods of peace. As a result, we have wasted a decade of peace with Pakistan and, more damaging to ourselves, of relative quiet in the Kashmir Valley. Bored, now, we are in such an angry, insecure mood that we find a few Kashmiri students cheering Shahid Afridi a national threat. Each one of these young Kashmiris was born after militancy began in 1989. They trust India enough to come to Meerut in search of that one thing all Indians want, a university degree, even if it is called Swami Vivekanand Subharti University, not to be taken back to 1989. As a sports lover, I should know cricketing loyalties are serious business. But in the new globalising world, where nationalism is on the decline and stars, heroes and villains are increasingly cross-national, this paranoia is an insult to India. This was the case in the very distant past, when cheering Pakistan was a common and popular stereotype against Indian Muslims. In 2014, even the most jingoistic won’t go that far. But Kashmiri Muslims, of course, they must pass this very special Meerut Test, our answer to the Tebbit Test. Just when one of them, Parvez Rasool, is knocking at the BCCI’s door for national selection, purely on merit. He is probably the only off-spinner in India who can still turn the ball and that too with a clean action. In a globalising world, where sporting talent is auctioned across borders, sporting loyalties are changing as well. Club is substituting country. I remember a BBC discussion once on why men kill men. One of the panelists, Ian Botham, said he didn’t mind men killing men as long as it was for the right reason: like, which football club do you support. For me, one of the most telling moments underlining this change was the inconsequential but breathtaking France-Holland match in Euro 2000, when Dutch winger Marc Overmars kept breaking into the rival penalty area and passing the ball, instinctively, to French midfielder Patrick Vieira. They were Arsenal teammates, and this was their assigned role! Of course, the crowds protested, but more in mirth than outrage. Cricket hasn’t quite got there yet. But the IPL is changing it. Already, old tensions between Indian, Australian and South African players have receded. New friendships are being formed. No country can field a team without a South Asian. England has Monty Panesar and Ravi Bopara, South Africa Imran Tahir and Hashim Amla, Gurinder Sandhu at 20 is the most promising fast bowler in Australia (can we offer him a PIO card?) and plays for T-20 Big Bash League team Sydney Thunders with Usman Khawaja. The West Indies team is now almost half of Indian origin, Sunil Narine, Denesh Ramdin, Ravi Rampaul, Shivnarine Chanderpaul and son Tagenarine, both of whom India cannot get out. New Zealand has Roni Hira, Ish Sodhi and even Sri Lankan Raki Weerasundara in its under-19 World Cup team. Zimbabwe also has Sikandar Raza. Cricket is being saved by its globalisation and the desi diaspora. Sadly, just when we are slipping into the most retrograde hyper-patriotism.